Revolution’s final episode this season was definitely worth the wait. Before the episode even started we got to watch a nice little recap of the past 19 episodes all leading up to this point (Kripke’s stylistic choice, maybe?). Most of the episode was set within The Tower but the best scene was definitely set outside of it. She’s still talking with Grace and Co from the previous episode. Rachel argues that they need to restore the power whereas Grace is still against the idea. Rachel is then forbid from going to Level 12. Rachel isn’t one to listen to reason and holds a cloth over Graces face, possibly chloroform. She, Charlie and Aaron all leave for Level 12 and end up running into Nora. The stairway is guarded. Nora says she has an idea. They set up a trip wire along the hallway thats being guarded. The group guarding the door notice it and carefully step over it. That’s when Nora pops out and hurls a fire extinguisher their way setting off the trip wire and a fire funnelling both ways down the hall. Nora’s hurt, bad. Charlie and Nora are hid inside a room after Aaron and Rachel left for Level 12. A member of the Militia enters and attacks Charlie. Miles arrives just in time, both to protect Charlie and to see Nora once more before she dies. Tom, the now leader of the Monroe Militia, he’s more brutal and more capricious than his predecessor; from the first moment. Tom is in a tent with someone and he tells them that they can leave, return to his family and that he’s nothing like Monroe, but Tom gets his gun. He shoots twice out the tent then shoot the man in his head. Tom’s son comes charging in and he tells him that the man shot at him. Tom goes ahead with attempting to blow a hole through the door to get into The Tower. The explosion doesn’t blow a hole through the door but it leaves a sizeable gap underneath. It’s a lot of the same with Miles, he began the episode fighting but soon joined forces to escape the encroaching enemy. Then soon after falling from a sewage/water system they’re on solid ground and beating each other up once more. The flashback of the week shows us what caused Miles to leave his position within the Militia. Monroe had started to become unravelled and its the murdering of a man and his whole family that caused Miles departure. Tom sends troops and a helicopter after Monroe and he splits from Miles once more. Monroe is now stuck in a tent with Tom, they talk and Tom explains the recent changes in management and how Monroe is deranged. Somehow Miles catches up to Monroe and decides to cut him free. He makes the remark that He and Monroe are still brothers, he hates it but he can’t avoid the fact. Monroe runs whilst Miles heads for The Tower. Tom and his Militia are down to Level 12, so is Miles and Charlie and so is Aaron and Rachel. Tom sees Rachel and Aaron he’s caught them until Miles shoots at them from a side hallway. It’s all guns blazing now. Miles, Charlie, Aaron and Rachel manage to make it through a door and lock it. It’s the main room, servers galore. Rachel talks Aaron through the system. He shuts down The Towers electricity suckers and the power is on. Randall appears out of nowhere and he locks himself into a separate room. He thanks them for turning the power back on as he never was any good at computers and launches ICBM’s at Atlanta and Philadelphia. He says that was always his plan, he never cared about either factions, he had his own. He was a patriot. 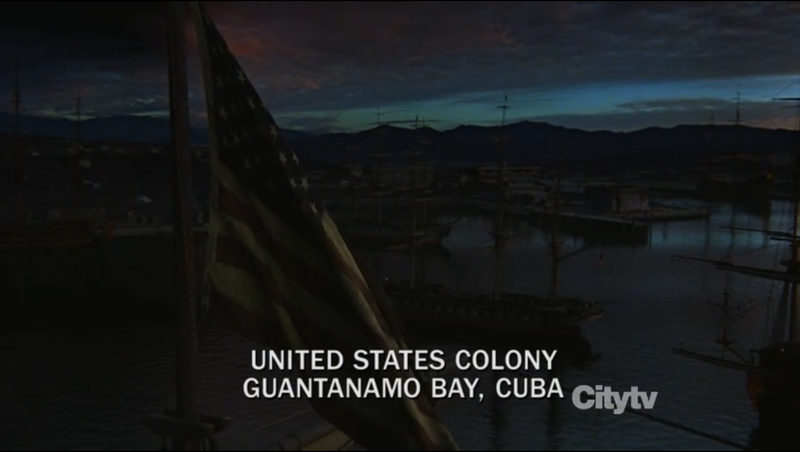 Now we cut to Guantanamo Bay, Cuba. We see from behind, The President of the USA. He’s alive and he wants to be back in charge. This was one of my favourite new premieres of the 2012-2013 season and the finale didn’t hold back. They like to show that they kill off main characters and they’re not afraid of backlash. I’d like to see what happened between Nora and Miles so maybe she’ll be back in flashbacks but she’s probably, most definitely dead in the present. ← The Fosters: Who Needs Biology?